Hella Part # 5DV 008 290-00. 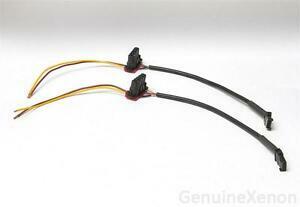 Hella Xenon HID Ballast Wiring Harness Cord Wire Plug. Fits all Hella Gen 4 Xenon ballasts. Ballast and igniterNOT included. Feel free to drop by and pickup in person! 2002-2006 Ford Focus.